With age Astrid Lindgren’s sight and hearing dwindled yet she still kept a high tempo right into the 1990s. With the help of a hearing aid, glasses, a magnifying glass and her secretary Kerstin Kvint she answered letters, kept her affairs in order, and continued her struggle for a more environmentally friendly society. She wrote articles for the Expressen paper and for a magazine called LAND together with prominent people like Marit Paulsen, Stefan Edman and the boss of Volvo, Pehr Gyllenhammar. The last major creative project that Astrid Lindgren completed was the ‘Story Train’ at Junibacken in Stockholm. In 1994 she and illustrator Marit Törnqvist began to work on writing the script and recreating the settings from the books. “First we read aloud. When I had read a section we were able to talk about the scenography and find the right words. It was an incredible experience to be there as she was searching for the right tone. Every time she surprised me with her way of expressing herself. It was as if she threw all the words up in the air, then caught half of them, and finally decided to rearrange them completely.” It took almost two years but on the 8th of June 1996 Junibacken finally opened to the public. In 1995 Astrid Lindgren was present at the start of the construction of what would become Astrid Lindgren Children’s Hospital at the Karolinska University Hospital. She made a speech where she compared the old-fashioned authoritarian children’s wards with this new children’s hospital. Here children and their well-being would be the guiding principle for both the care and the design of the hospital - and a respect for children its central focus. That was her wish when she agreed to give her name to the new hospital. 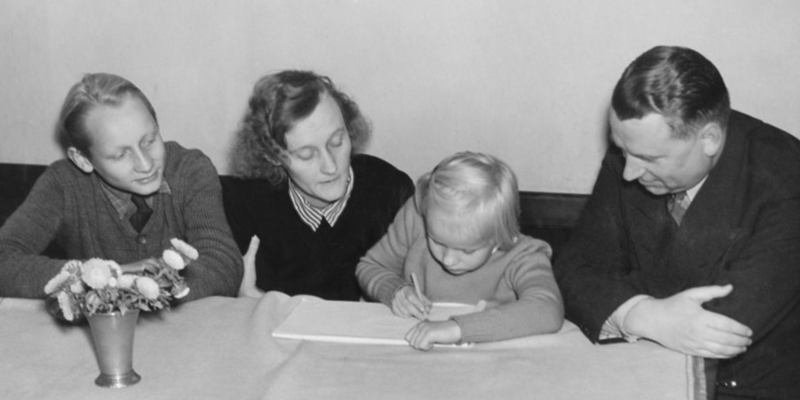 In the same year that Ingegerd died Astrid Lindgren turned 90. It was celebrated in great splendour in Vimmerby with the Prime Minister present - but the birthday girl herself was not. 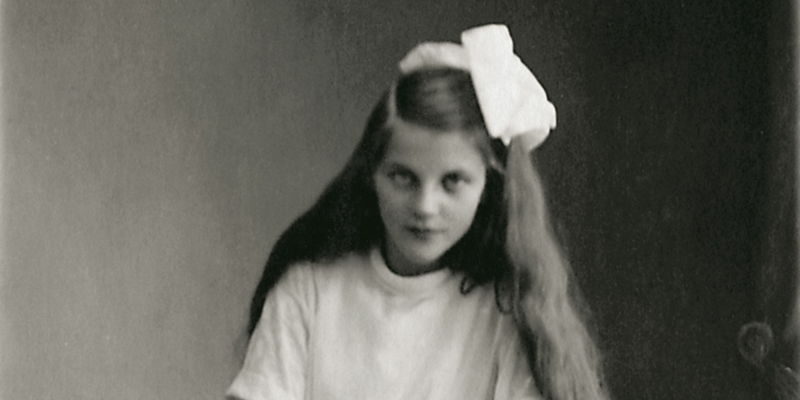 She celebrated together with her closest friends and family, a safe distance away from parades of children, flag waving, and the Prime Minister’s cheque of 7.5 million SEK, the same amount as the Nobel Prize she never received, money intended for the new Astrid Lindgren-house in Vimmerby. In December 1997 Boris Yeltsin, Russia’s first democratically elected president, visited Stockholm. He met Astrid Lindgren at an official governmental lunch. The headlines in the Swedish newspapers in the following days read: “Yeltsin met Astrid Lindgren”. There was no doubt as to who was the most important person at that lunch. 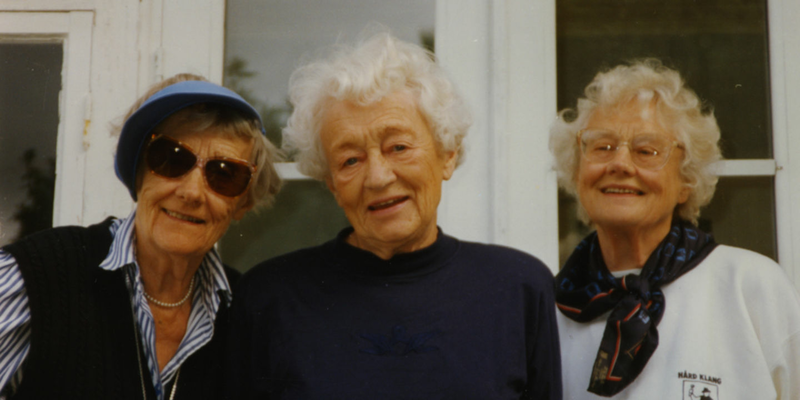 In January 2002 Astrid Lindgren passed away at her home on Dalagatan. Her daughter Karin was with her and soon the closest family arrived to say their goodbyes. Outside on the street thousands of people from Stockholm gathered to leave flowers, light candles or just stay for a moment in silence. 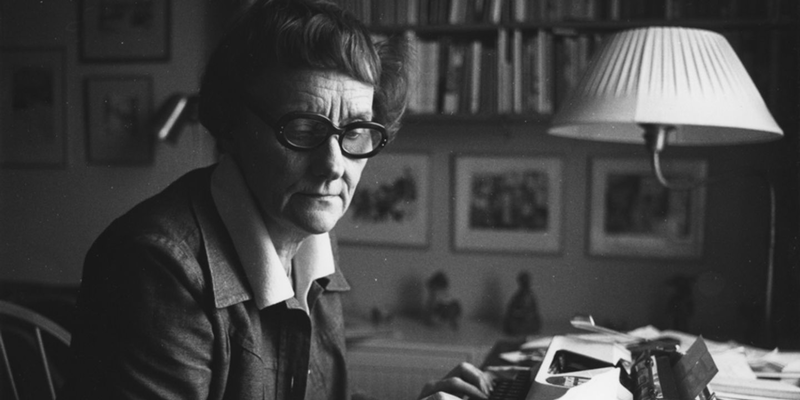 Astrid Lindgren practically received a state funeral. Her coffin travelled by horse and carriage through Stockholm and right at the back of the funeral cortege walked a white un-saddled stallion. The funeral was held on the 8th of March, International Women’s Day. The streets of Stockholm were filled with hundreds of thousands of people following her last journey towards the Storkyrkan church in the Old Town. Amongst those who spoke at her funeral was her friend Margareta Strömstedt. A jury appointed by the Swedish Radio’s Culture Department elect the Author of the Millennium. Astrid Lindgren is voted second after William Shakespeare.